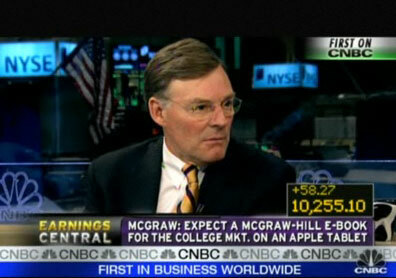 Remember when McGraw-Hill CEO Terry McGraw went on CNBC Tuesday and told us all about the iPad? You probably noticed that subsequently, the McGraw-Hill logo was absent from the festitivities. That’s because now they say they weren’t part of it to begin with. Well, whatever. » Who says people in the Valley don’t know anything about literature?